While most people are thinking about nachos and chicken wings and queso dip, I’m making Whole30 and paleo friendly Apple Cashew Coconut Snack Bites. The irony isn’t lost on me but I’m still feeling empowered by my Whole30 experience and reluctant to fall into my old habits. I make protein bites or snack bites often because you just never know when you will need a quick boost or snack on the go. 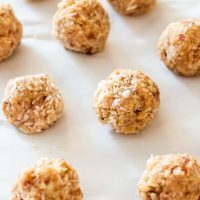 Usually, I rely on nut butters and cacao for flavor but these little yet oh-so flavorful snack bites get their boost from unsweetened apple sauce, medjool dates, cashews and coconut. Super easy to make and even easier to enjoy. I was inspired to use apple sauce because I’ve been slowly accumulating a pantry full. My daughter’s school has a daily snack program and it almost seems like her lunch box comes home with more stuff each day then it leaves with. Almost every day there is a container of applesauce and no matter what I do she will not eat it. Good thing I still like applesauce despite being in my 30s. Somethings you just don’t grow out of! 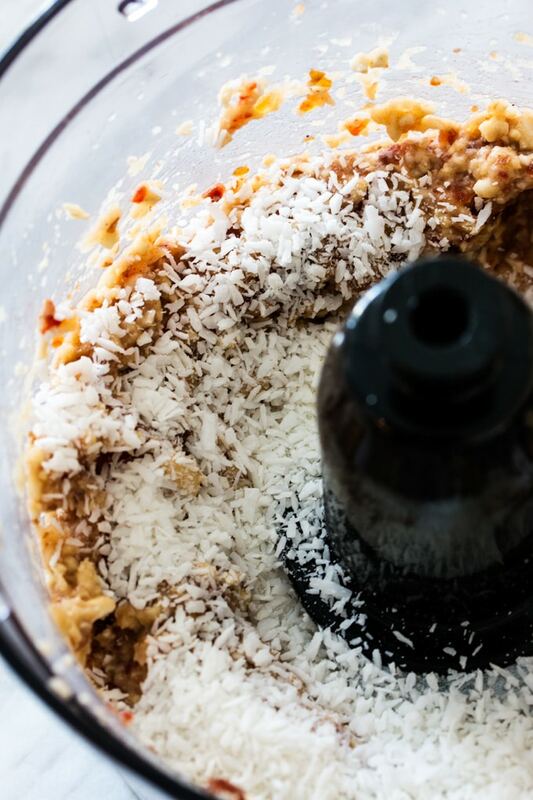 To make, simply add your applesauce, cashews and dates to your blender or food processor and blend until the mixture sticks together but still has texture. Then add coconut and stir. If too sticky, try adding a bit more coconut and put in the fridge for 20-30 minutes. This makes it a bit easier to roll into bites. I store these in an airtight container in the fridge and pop one or two in my lunch to get me through the dreaded afternoon in the office. Better to enjoy one or two of these then make a visit to the vending machine. Best yet? These are friendly for many people faced with dietary restrictions because they have no sugar added and they are dairy free, gluten free and additive free. 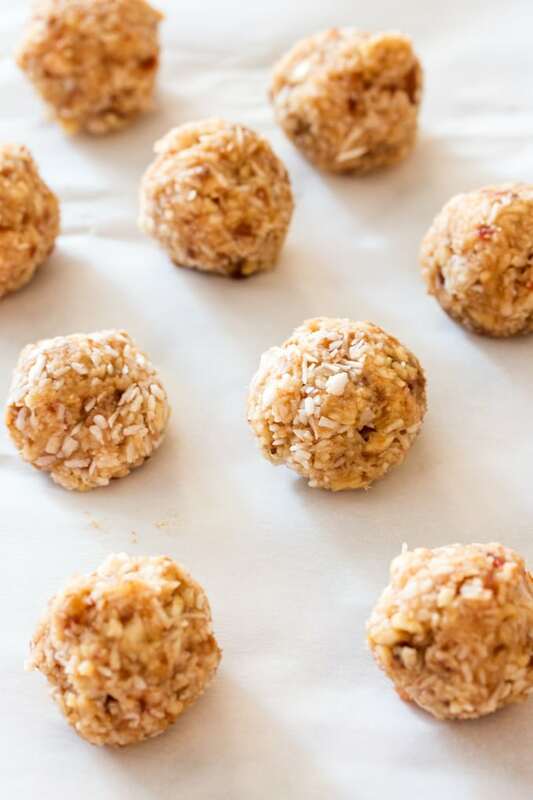 These little yet oh-so flavorful snack bites get their boost from unsweetened apple sauce, medjool dates, cashews and coconut. Super easy to make and even easier to enjoy. Add first three ingredients to blender or food processor and blend approximately 30 seconds on medium. Mixture should be sticking together yet still have texture. 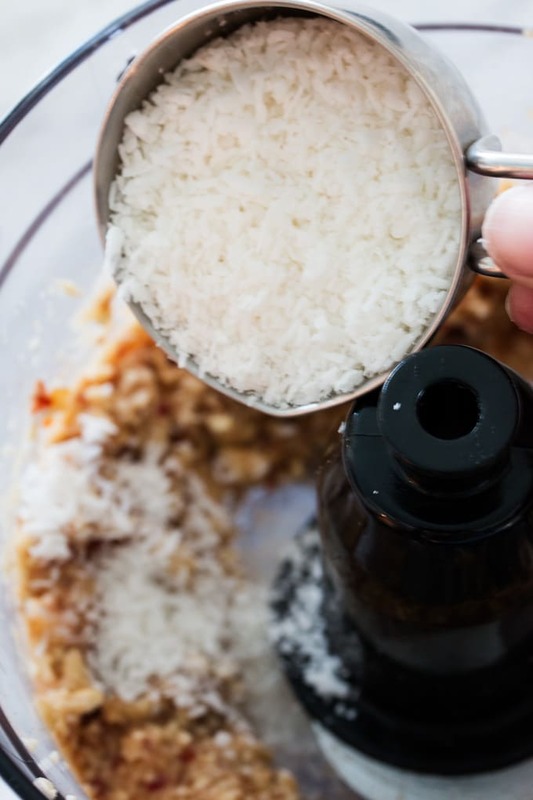 Add coconut to the blender jar or food processor bowl. If mixture is sticky, add a bit more coconut and place bowl in fridge for 20-30 minutes. Roll mixture into ball shape and place on parchment lined baking sheet or plate. Cool in fridge for 20-30 minutes and then store in air-tight container. Try adding cinnamon and nutmeg to your mixture for a different flavour profile. 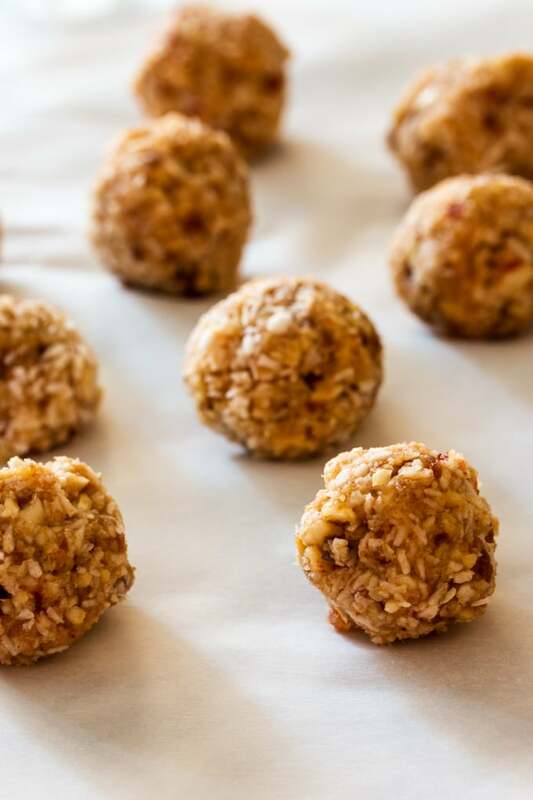 If you like snack bites or bliss balls, you may also like our Chocolate Mint Coconut Protein Bites or our Apple Pecan Snack Bites.